I have always wanted to be a writer. I wrote stories when I was in grade school. I wrote stories in college. I wrote stories after I graduated. My stories were filed in the cabinet under: Pamela Writing. No one read my stories. I had no feed back. In January of this year I started a blog. I wrote one story. I didn’t tag the story, or put it in a category. I hit publish, but I hoped no one would read it. In April I found a web-site, Goinswriter.com, and I began to read Jeff Goins blog. Goins encouraged me to believe in myself. I subscribed to his site, and received his free e-book, The Writers Manifesto. Goins said I was already a writer. He told me I had to believe I was a writer. Jeff Goins sent out an e-mail to his subscribers earlier this year telling us he was going to start an on-line class, called Tribe Writers. Would I like to be notified when the class started? I trusted him. I believed his class would be of value, and I expressed interest in taking the class. When the class became available, my husband had just been laid off of work. We should have been saving our money not spending it on writing classes. I signed up and paid the tuition for the first class. I believed Jeff Goins would deliver value in the course, because he had shown himself trustworthy in his daily posts. I believed in myself. I believed I was worth the investment in the class. Before I took the Tribe Writing course, I was alone. After completing the class I am part of a Tribe of Writers. I have made friends through the course, who encourage and support me. Do you want to write? 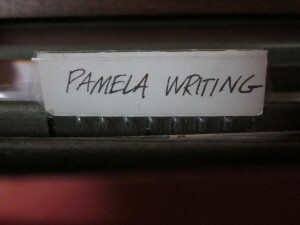 Do you have stories in your filing cabinet? Do you feel like you have something to say? Would you like to learn how to find your voice? Would you like to establish a platform, expand your reach and get published? Please sign up for Jeff Goins next eight week class. Registration closes today at midnight. You will have lifetime access, so even if you don’t have time to start now, you are registered. You can read about the course here. I am an affiliate with this class. I wouldn’t be affiliated if I didn’t consider Jeff Goins to be a friend. I trust him. He is not a used car salesman.